Hayes Theater has been transformed by David Rockwell, Rockwell Group, taking Broadway’s smallest theatre and giving it a 21st Century makeover. David Rockwell and his team have redesigned the former Helen Hayes Theater, a New York landmark and the smallest theatre on Broadway with just 597 seats. New operator, Second Stage, purchased the Theater in 2015 and have dedicated the newly named Hayes Theater to contemporary works by living American playwrights, with an emphasis on women and minority writers. 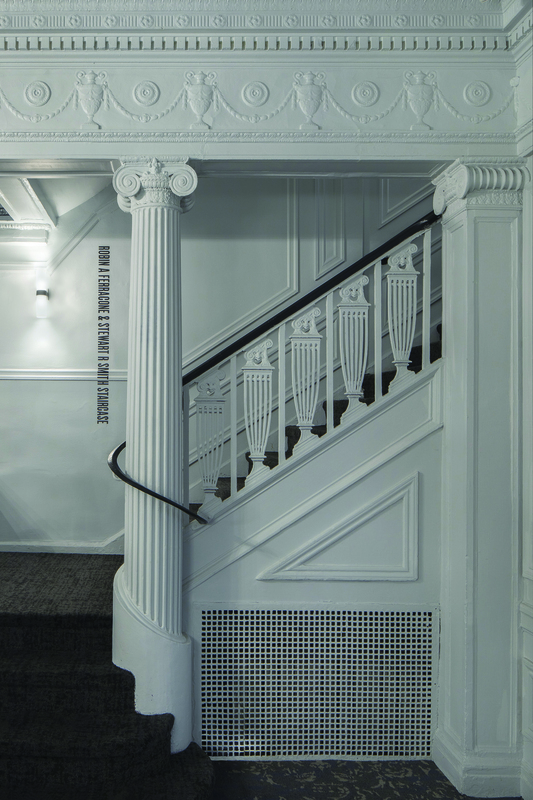 Rockwell Group has collaborated with Second Stage to completely renovate the historic 100-year-old-theatre and bring about a more modern and approachable design vocabulary that references the theatre’s heritage and reflects the operator’s contemporary aesthetic. The redesign involved updates to existing exterior and interior design elements, creating a more modern environment overall. 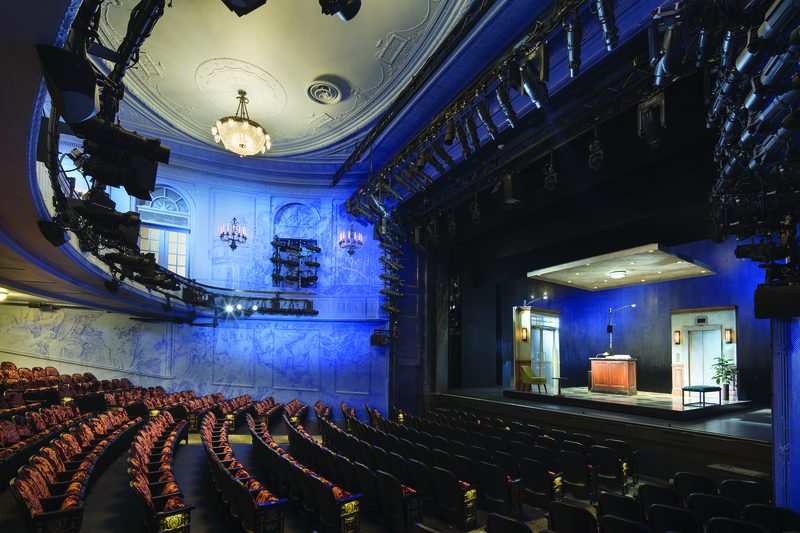 With its unusual Neo-Georgian design, the Hayes Theater is a striking presence in New York’s theatre district. However, the building was showing its age and was in need of significant upgrades to the infrastructure in order to provide artists and audience members with the production values and comfort they expect at Second Stage. The renovation adds a modern rigging system in the stage house, allowing scenic artists to be able to build more sophisticated sets, without reducing the elegance of the transitions. The renovation also includes a complete overhaul of the HVAC system on all floors, an upgraded fire alarm system, and the addition of energy saving measures, with a goal of earning LEED Gold certification. The auditorium has been transformed visually with a pixilated mural over walls that transition in ombré from light to dark blue. 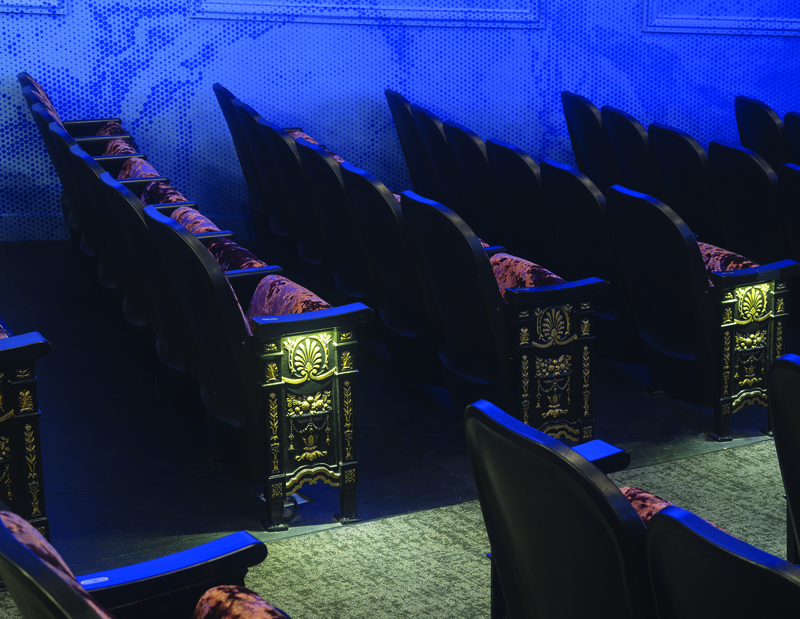 Iridescent copper fabric seating and glossy black light fixtures give theatre a fresh look that blends its history with Second Stage’s modern style. When the Hayes Theater first opened (as the Little Theater) the walls were adorned with reproductions of large tapestries originally designed by the Rococo artist François Boucher (b. 1703 – d.1770). Rockwell Group’s new environmental mural is inspired by those tapestries, but is a modern, digitised interpretation. A scene from one of Boucher’s tapestries depicting Dionysus/Bacchus, the Greek/Roman god of theatre, was enlarged and applied to the side walls of the theatre in a blue ombré pattern, shifting from lightest at the rear of the auditorium to darkest at the front. The image that is applied to the walls has a pixelated look that makes it appear abstract up close. The lower lobby of the theatre has been restored to its original use as a gathering space and concessions area for theatre-goers before the show and during intermission. Private offices on the third floor were reclaimed as dressing rooms and a green room. A new public space was added by the Rockwell Group design team: A multi-purpose room for play readings/workshops during the day and for use as a donors’ lounge during performances. A major part of the refurbishment saw Rockwell Group demolish the remnant of an old townhouse that was used as an areaway for emergency exiting. A portion of this 18’ x 70’ footprint was used to create an extension to the adjacent stage house of Jujamcyn’s St. James Theater. The remaining area of this footprint provides an accessible elevator and exit stairs as well as an accessible bathroom at the Balcony level and 3rd floor, along with the Donor Lounge at the 3rd floor. 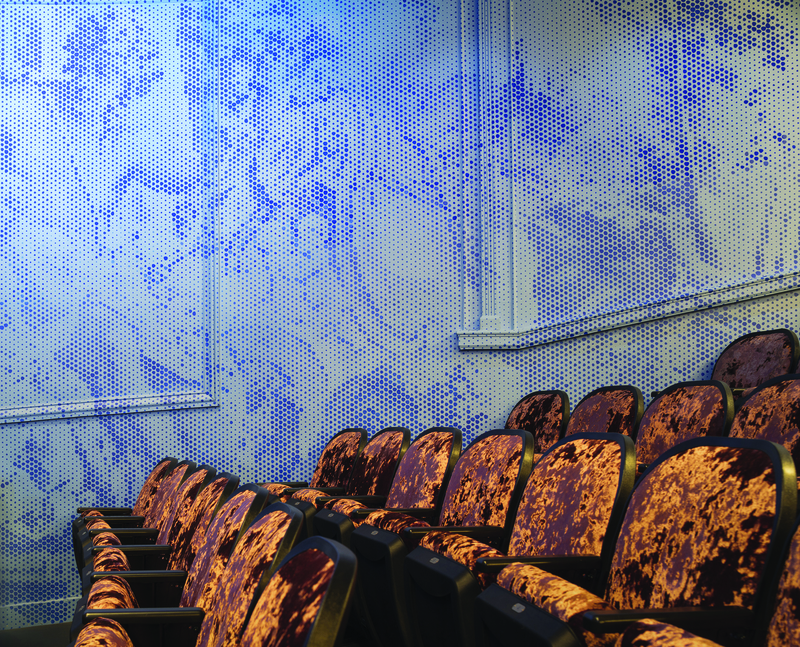 One of the most dramatic elements of Rockwell Group’s renovation is a mural that lines the interior of the theatre and takes its inspiration from painted reproductions of French tapestries that adorned the theatre when Ames founded it back in 1912. The original tapestry artist Francois Boucher was also a painter, etcher, draughtsman, and theatre set and costume design, working in the Rococo style. Ames was particularly interested in a set of tapestries Boucher had designed called “The Loves of the Gods,” which he had likely seen as it toured the U.S. The set had originally adorned the alcove in the bedchamber of the duchess of Bourbon (1750-1822). Each piece in the set shows a mythical scene involving a god or goddess. Ames most likely had set painters recreate the likeness of several of the tapestries on the walls around the theatre. After conducting their own research, Rockwell Group decided to use one of the tapestries from “The Loves of the Gods” series as inspiration. The design team chose “Bacchus and Ariadne,” as Bacchus’s Greek counterpart is Dionysus, the god of theatre. In playing with the ghost of the original decor, Rockwell Group wanted to evoke the spirit of the Little Theater because its mission of serious theatre aligns with Second Stage’s ambitions for the Hayes Theater. The Rockwell team digitised “Bacchus and Ariadne” in a blue one-colour dot pattern. It then printed the pattern as a stencil on a large laser printer. The stencil is then overlaid on blue ombré-painted walls, combining digital design and painstaking craftsmanship. Much experimentation with the focal point and the pointillism was carried out so that the image remains largely abstract.